I never really got into the whole maxi-dress thing, but I think that will be changing since I found this dress at Target. I instantly fell in love with the color (shocking right?! ), and I felt like I was wearing pajamas all day long! Color and comfort is a win win in my book! I also scored these Sofia Vergara wedges art K-mart and know they will be in regular rotation for the summer! I hope everyone enjoyed their weekends- I must confess that I was a naughty girl and hit up the Rebecca Minkoff sample sale...and let's just say I scored one too many goodies! Also! Fashionablee Me now has a Facebook Page and I would love your support! Please "like" to keep up with new posts and even more fashion and fun! i loved this dress at target! xo looks great! Hey Amanda! 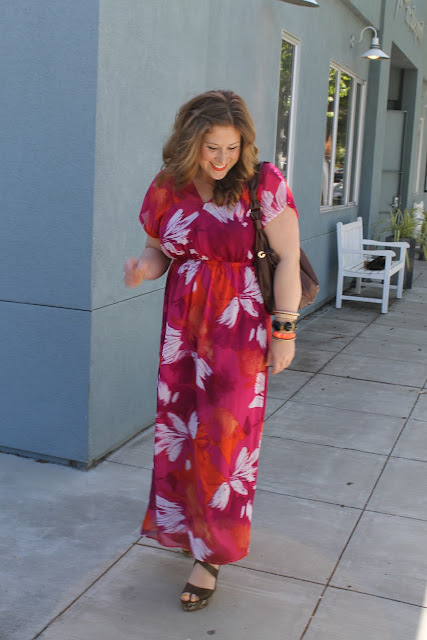 I found your blog from the fabulous Carlina's, loving your looks! Aww thank you so much for the follow girl! I love Carlina- she is so fabulous right?! I will definitely be checking out your blog! Posh Target find - the dress is great! I love that it actually has short sleeves, as I've seen many maxis with spaghetti straps. And the shoes are awesome, too! Yes! That is definitely what drew me to the dress were the sleeves since it is hard to wear spaghetti straps for me! 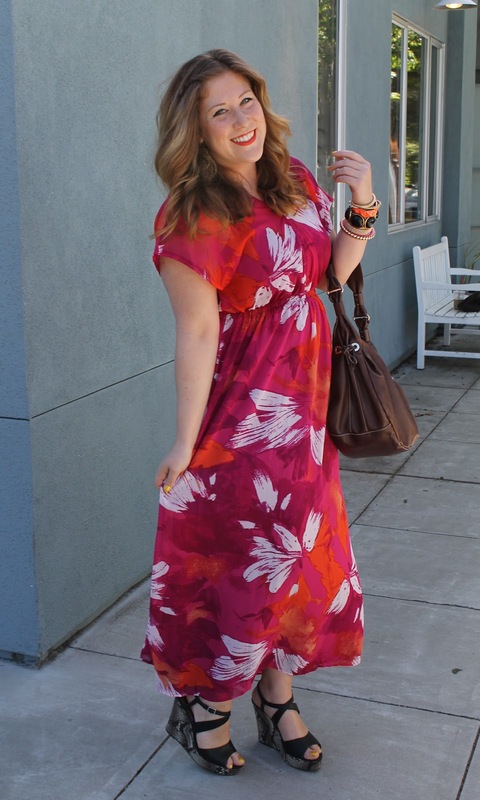 Amanda, such a beautiful print on you! Maxis are killer. OMG girlfriend you are the hotness in that fab dress!! I love, and it loves you, obvi! ;) I can't wait to see some of your RM finds in person!! Playdate soon?! I love this dress on you! Did you get this dress recently?! I may have to go and get me one. Who is made by so maybe I can find it online. Thanks!